Summer is just about over and Autumn starts September 22nd! 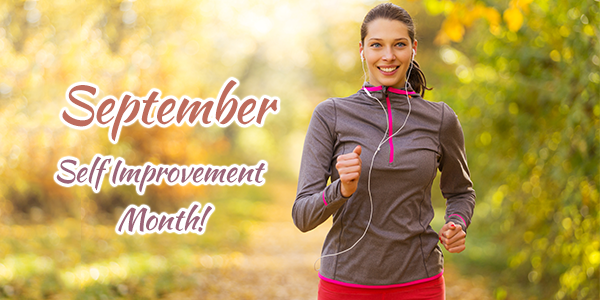 September is Self-Improvement Month. There is helpful information and useful tips in this month’s e-zine! Watch the Tip of the Month video to learn how to Color Code your service groups and read the Product Alert section to find out about our fast and secure 4 Core Cloud Hosting! 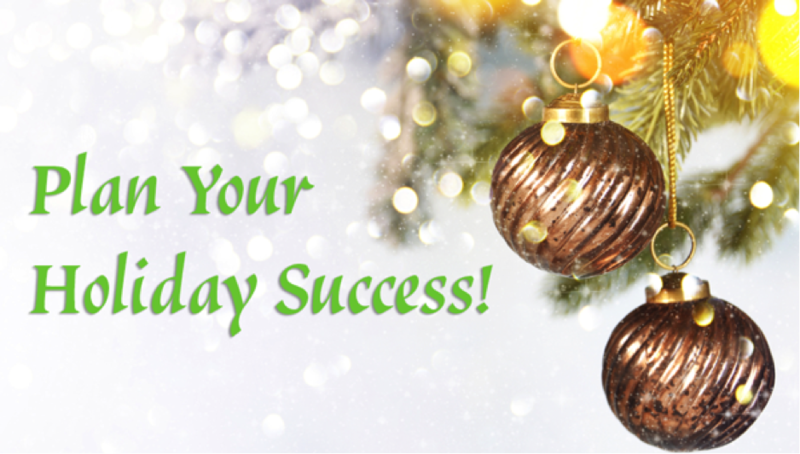 Check out the featured article to discover ways you can effectively plan your medi spa’s Holiday Success. We wish you a happy and productive September from Blake and the Team! 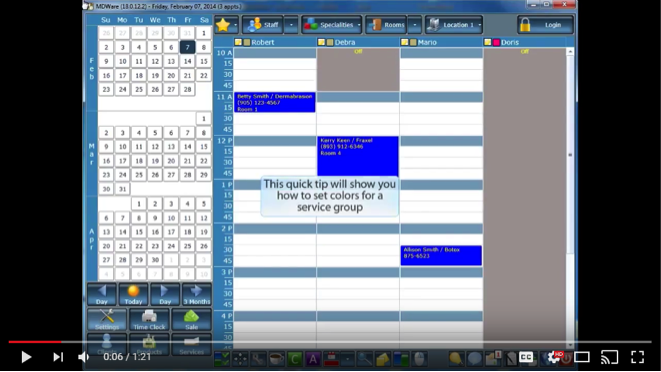 This video will show you how to Color Code your service groups in MDware! 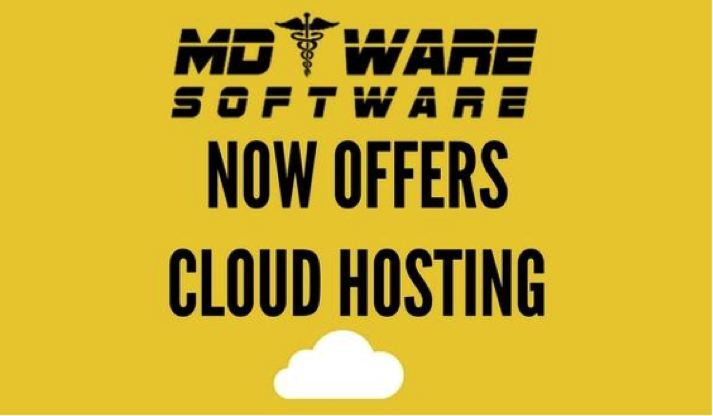 We Offer Fast, Secure Cloud Hosting! Attention Spa and Medi Spa Owners! Decide what new gift items you want to offer and order them now. Create a festive way to display them. Bundling a few items together is a good idea. Make sure the packaging is attractive and irresistible. You want low, medium and high price points in order to satisfy all your clients. Run reports to determine what sold very well for you last year and do something similar. Don’t get stocked up on only skin care. Combine skin care with other items like CDs, bath products, accessories, candles, books, etc. Get creative and involve your team in the process. If they are sold on the items, your team is more likely to promote and sell them. Gift card sales are always a big hit during the holidays. Here is a tip on how to maximize your gift card sales: Don’t sell gift cards alone. Create three to four packages of gift cards and include product gifts in each one. Instead of someone just buying a gift card, they are able to buy a gift with the card. Create a flyer featuring 3 or 4 packages. Make sure they are at different price points. Display the gifts in a prominent area within the medi spa to attract attention and make people aware of the packages. This really works! You can increase your gift card sales tremendously. Make your medi spa ambiance festive! Remember, less is more. Include your products within the decorations. A simple thing to do is to display beautifully wrapped packages with ribbons especially by the gift card area. Have fun and get creative! What a great way to thank all your clients and generate revenue at the same time! Planning a holiday party should involve the whole team. I can write an entire article about this topic alone. To summarize, you will need to do an invitation, barter all your food and drinks, decide on which treatments you want to feature in each room. Most importantly, set a target as to how much business you want to generate. One key point is to give each guest when they walk in “medi spa dollars” that are good only during the event. Medi spa dollars are used towards a variety of items you are offering on that day. At events like this, depending on how many people you invite, thousands of dollars in sales can be generated. Prepare and send out gift card promotions via e-mail. Inform your clients of all the fun and exciting things you have going on this season. Include some medi spa cuisine recipes and tips on how to stay healthy during the Holiday season. If you don’t have an e-newsletter, checkout the DoneForMeSpaMarketing.com website so we can create a newsletter for you! We all have special clients that spend a lot of money. You want to show your appreciation with some sort of gift. Let them know they are special to you! If you attended the Book Writing Seminar, we offer and published your book so you can give it as a gift to your VIP clients. Set team targets for service, retail, and gift card package sales. Make it a contest and give the winners or whoever reaches the target something special. Get the team excited about the opportunities you have. A Team Appreciation Party is a must! Do something special to let them know how valued they are! Get started now. Need help? Set up a private coaching call with me.